Poetry has always been in my blood, from the first days I could write back where I was born, Iraq, where I lived until I was about 11 years old. Growing up, my father told me that his dad wrote some of the most beautiful poetry, filled with powerful emotions and love. My aunt from my mom’s side also wrote poetry and murder mystery novels. My father owned a book called Love Shall Remain My Lord. It was written by the late Syrian poet Nizar Qabbani. I remember picking up the book when I was 7 years old and reading it. I was so moved by the words and was astonished by the fact that a few single words can evoke so much emotion out of me. It was then when I fell in love with poetry. When I was 12 years old, I immigrated to Canada with my family. This major shift in my life propelled me to write poetry because, for me, poetry spoke volumes. It was all about my body speaking through words. I also had an interest in writing lyrical poetry, songs that ended with rhymes and flowed rhythmically. I wrote about the war in Iraq, giving the voices to the mothers who witnessed the deaths of their children. My poems were simple yet filled with sentiment. I continued writing these poems through university. I wrote mostly in English as I was struggling to find words in Arabic. As I grew up mostly in Canada, since age 11, I felt hyphenated, trying to reconcile between my identity both as Iraqi and Canadian. I wrote and read in Arabic fluently, yet when it came to poetry, I felt more comfortable writing in English. I didn’t have the complex poetic vocabulary in Arabic resulting in simple poems. I recalled the poetry of Qabbani and how complex the words were. They had the magical abilities to evoke deep emotions that gave me chills. While attending Simon Fraser University, I was interested in taking English 472 – Advanced Creative Writing Poetry. It was taught by the incredible poet Jordan Scott. I submitted some lyrical poetry as a sample writing, in hopes he would let me take the class even though I didn’t take English 372 which was a prerequisite. He responded back to let me know that while my writing was beautiful, I should be prepared to be challenged as the course wasn’t going to be easy. I was so thrilled that I was approved to take the class. The course challenged all my poetic ideologies and allowed me to redefine what poetry really was. Through intensive workshops, I had an idea of creating a chapbook about my conflicting identities as a gay Iraqi and Muslim and Canadian, nor did I expect that I was going to win the Ying Chen Creative Writing Award for being the top writing student. 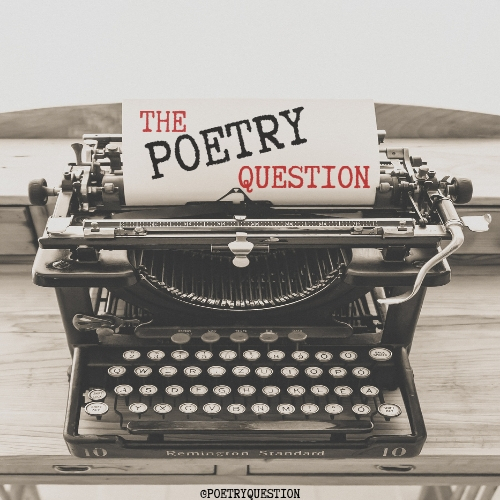 I veered away from the lyrical poetry and I wrote free verse poems where the form and words highlighted my body. It was a linguistic war highlighting my inner struggle. I learned so much through that experience. I saw poetry as much more complex and rewarding than I had originally thought it would be over the years. Poetry is the one form that can take the readers to another level of meaning and power. It is not restricted by a certain style of form like in other genres of writing such as short stories and novels. Poetry gave me the artistic freedom to express myself, my emotions, my stories freely and creatively. Poetry was in my blood and is my artistic voice that goes beyond boundaries to represent my hyphenated self. Hasan Namir is the author of War/Torn, his debut poetry book from Book*hug Press. Namir was born in Iraq in 1987. He graduated from Simon Fraser University with a BA in English and received the Ying Chen Creative Writing Student Award. He is the author of God in Pink (2015), which won the Lambda Literary Award for Best Gay Fiction and was chosen as one of the Top 100 Books of 2015 by The Globe and Mail. His work has also been featured on Huffington Post, Shaw TV, Airbnb, and in the film God in Pink: A Documentary. He lives with his husband in Vancouver. I look forward to learning from you as I follow your poetic journey. Thank you so much ! This means a lot to me. I like that you refer to yourself as hyphenated. Proof you are not broken, but stronger with each experience!